The dream of an Everest summit success in the first run has gone. 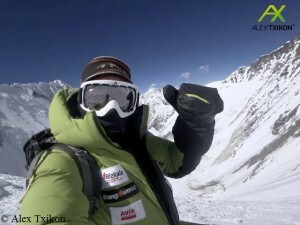 Alex Txikon has abandoned his summit attempt and returned to the base camp. “I assure you that I have not given up,” the 35-year-old Basque wrote on Twitter. 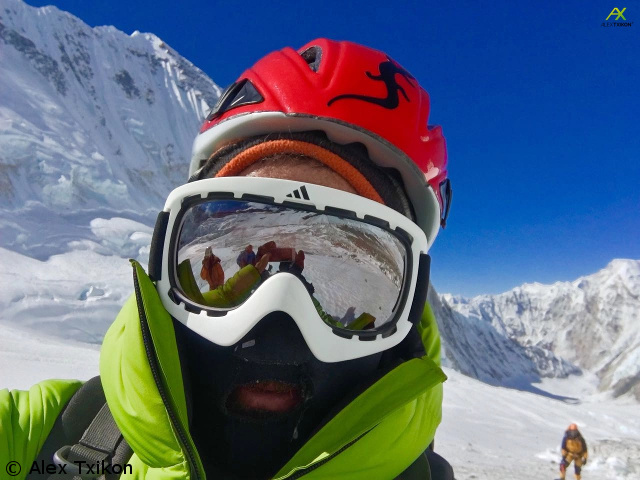 On Monday, Alex had climbed along with Norbu Sherpa and Chhepal Sherpa at temperatures of about minus 40 degrees Celsius to the South Col on 7,950 meters. But there such a strong wind was blowing that it was impossible to pitch a tent. 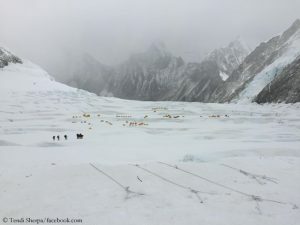 “We have decided it was not the time to challenge nature at these heights and conditions, since we are nothing in dealing with it, and we could have suffered frostbite or even worse,” Txikon wrote later from Camp 3, adding that at times, it had become a tougher battle than the summit attack of last winter on Nanga Parbat. 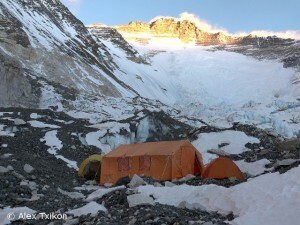 After two nights at above 7,000 meters Txikon turned around. Winter is far from over. Alex Txikon will get even more chances. So time to recover and to try it once again. Mount Everest shows its teeth. 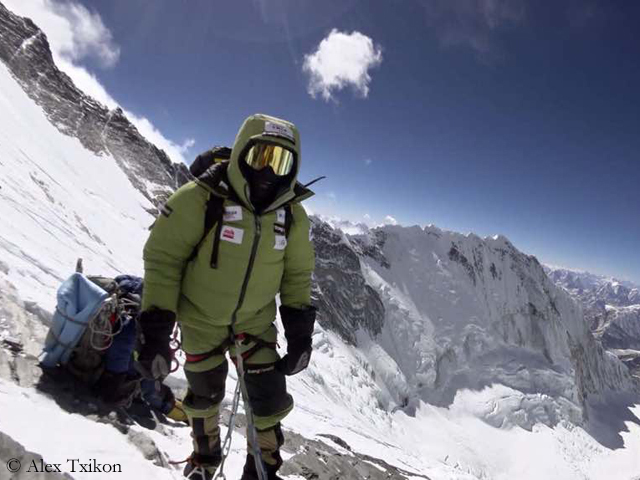 Alex Txikon, Nurbu Sherpa and Chhepal Sherpa stayed only for a short time on the South Col at 7,950 meters. 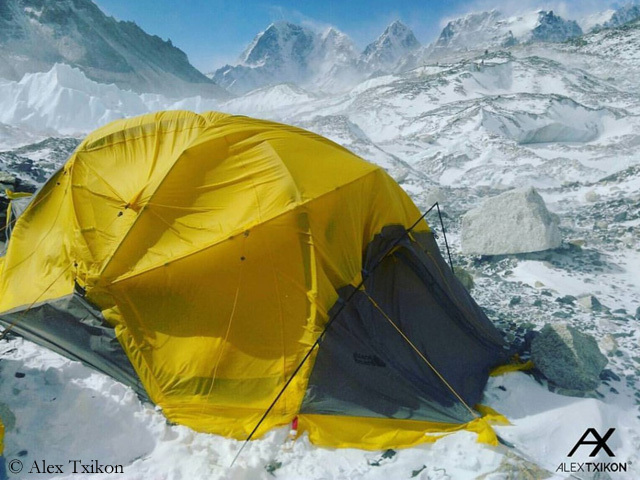 “After reaching Camp 4, the wind hasn’t given a truce and we have just gone down to Camp 3, until the storm subsides,” Alex wrote on Twitter. 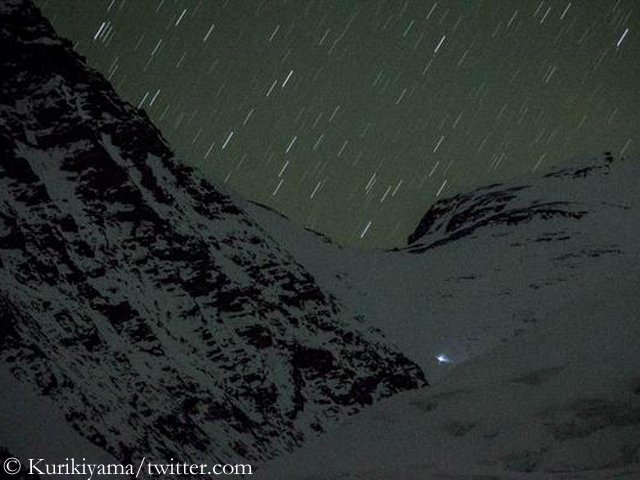 His team later added that the three climbers had been at the South Col for only half an hour. The wind had blown with about 70 km/h. It was impossible to pitch the tent. Alex, Nurbu and Chhepal wanted to spend another night in Camp 3 at 7,400 meters. It’s questionable whether the trio will climb up again on Tuesday. The weather forecast predicts squalls also for tomorrow afternoon. The wind is to calm down not before Wednesday morning. So it remains exciting. Alex Txikon seems to be euphoric. 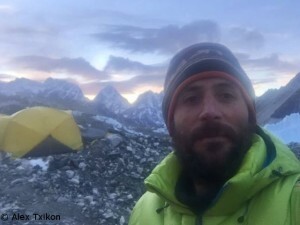 “I do not feel tired,” writes the 35-year-old Basque, after having descended from Everest South Col at 7,950 meters in one go to Base Camp at about 5,300 meters. “My body signals to me that we will go to the summit the next time. Soon you will have news of the attack.” Before, Alex – along with the Sherpas Norbu, Nuri, Chhepal, Phurba and Pemba – had ascended to Camp 4 for the first time during his winter expedition. 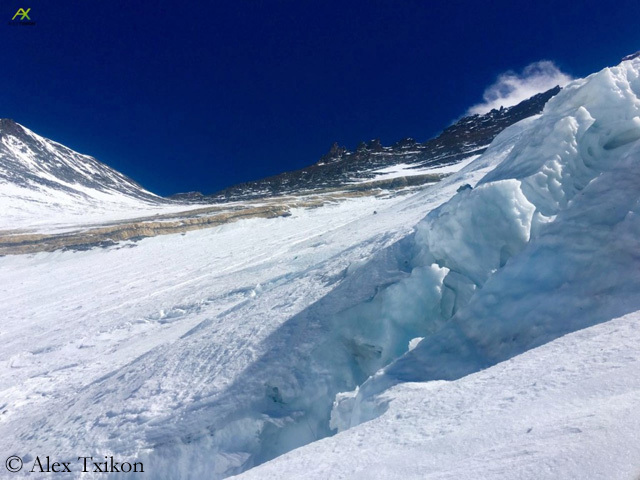 Alex Txikon and his Sherpa team have reached the Base camp at the foot of Mount Everest in sufficient time before the beginning of the expected bad weather period. This is shown by his GPS tracker. The 35-year-old Basque was “exhausted but satisfied and very confident to reach the summit,” the Spanish sports newspaper “Marca” reported on Saturday evening. It has not yet been confirmed how high exactly Txikon and Co. have ascended this time. 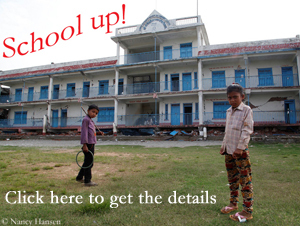 Next try. 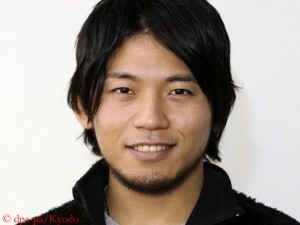 In these days, Japanese climber Nobukazu Kuriki will start his second summit attempt on Mount Everest. As reported before, his first try had failed last weekend, at about 7,700 meters, the level of the Geneva Spur, 200 meters below the South Col. Kuriki is the only climber who tries to scale Everest this fall, climbing alone without bottled oxygen. I have succeeded in contacting the 33-year-old at Everest Base Camp. Nobukazu, what went wrong during your first summit attempt? There was deeper snow than I expected, and it took too long to plow through it. 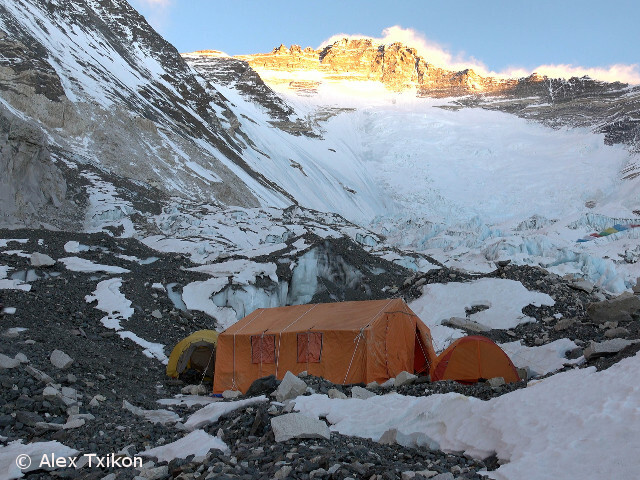 You decided to pitch your tent for your highest camp at about 7,700 meters instead of the usual South Col. Why?